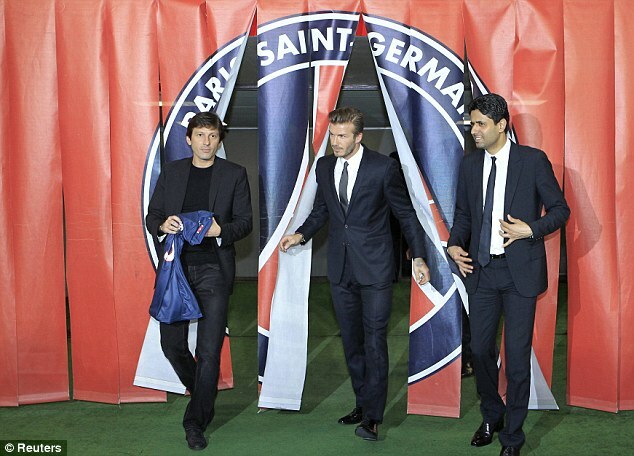 The sporting director of Lique One club, Leonardo has tendered his resignation will leave the French champions at the end of August. The FIFA world cup winner with Brazil in USA 94 informed the board of his decision this morning, a week after learning he would be banned for the whole of next season for pushing a referee following a Ligue 1 match in May this year. The 43-year-old former AC Milan manager, who took up his post in July 2011 in the wake of the Qatar Investment Authority's takeover of the capital club, will leave at the end of summer transfer window on August 31. 'We regret his choice but respect his decision. 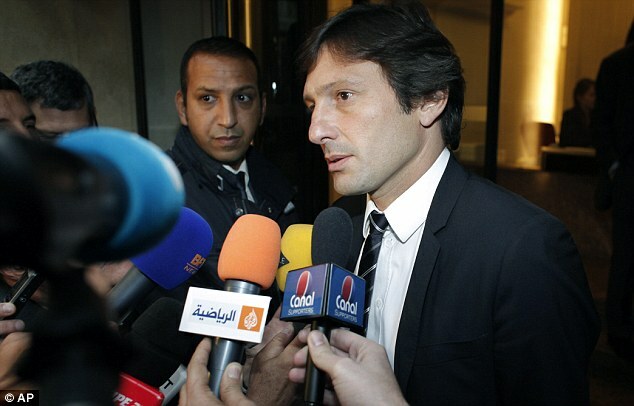 Leonardo has overseen intense transfer activity in the two years since his appointment, having been tasked with rebuilding the squad in the wake of the Qatari takeover. 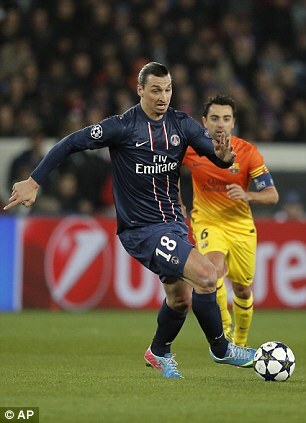 During Leonardo's time at Parc des Princes, PSG signed the likes of Zlatan Ibrahimovic, Marco Verratti, Ezequiel Lavezzi, Lucas Moura, Javier Pastore, Thiago Motta and David Beckham - with the Ligue 1 title duly following last season. He was also key to the appointment of Carlo Ancelotti as head coach, although the Italian has since left to take charge of Real Madrid.